Brunello Cucinelli blazer in Prince of Wales check. Notch lapel; three metal-button front. 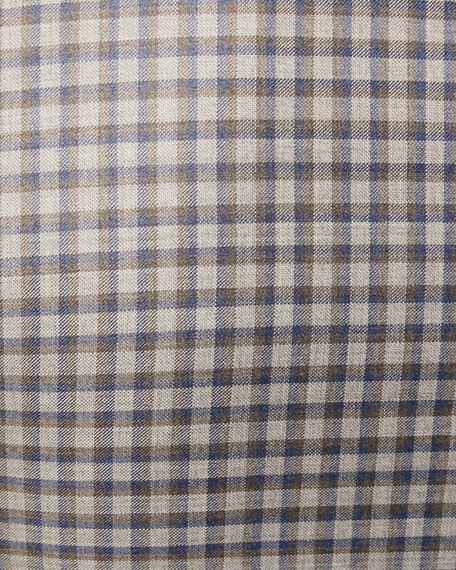 Four-button detail at cuffs. Welt pocket at chest. Flap pockets at sides. Double-vented back. Wool/cashmere. Made in Italy. Model's measurements: Height, 6'1"/185cm, waist 30"/76cm, suit 38R, shirt 14.5x34, inseam 34"/86cm. 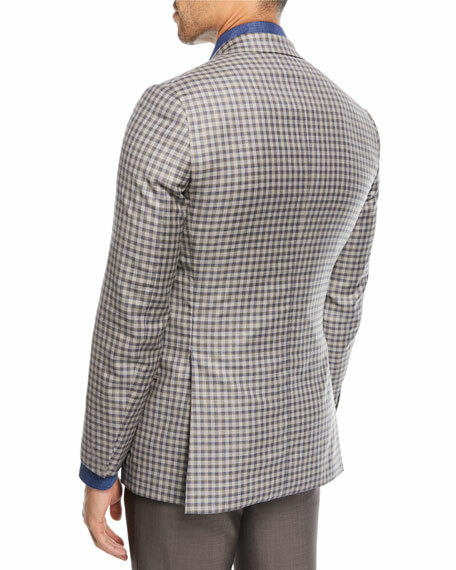 EXCLUSIVELY AT NEIMAN MARCUS Ermenegildo Zegna blazer jacket in wool plaid. Notched lapel; two-button front. Basted sleeves. Lightly padded shoulder. 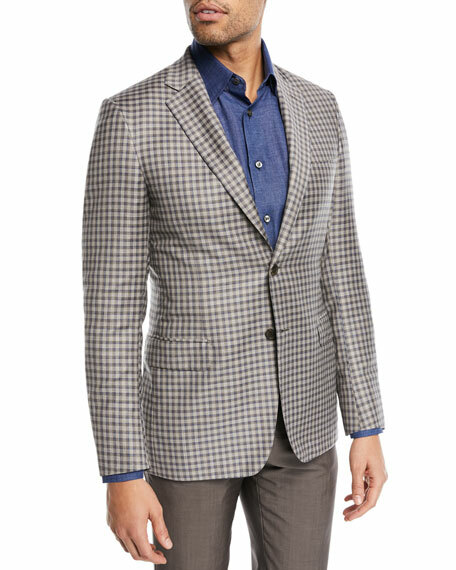 EXCLUSIVELY AT NEIMAN MARCUS Ermenegildo Zegna blazer jacket in wool plaid. Notched lapel; two-button front. Basted sleeves. Lightly padded shoulder. Front patch pockets; chest welt pocket. Double vent. Made in Switzerland. Model's measurements: Height, 6'1"/185cm, waist 31"/79cm, suit 40, shirt 15.5x35, inseam 32"/81cm.